JOHOR BHARU: Universiti Teknologi Malaysia (UTM) wants to attract more students from Japanese, Korean and Chinese varsities to take up its intermediate courses for the English Language. UTM International senior director Prof Dr Nordin Yahaya said the university is already known for its English-strengthening courses for university students through the years with up to 120 students from Japan and Korea currently taking part. “Our target now is to attract students from China to be involved in this four-week course. “The first batch of Chinese students will begin their English courses in June next year. They will come from the Guilin University of Technology (in Guangxi, China),” said Nordin after the launch of the 8th University Presidents Forum by UTM vice-chancellor Datuk Dr Wahid Omar at the Skudai campus today. Nordin said Japanese and Korean students benefited greatly from the English courses held outside of their home countries as they were able to practice the language in an environment where English is widely spoken. 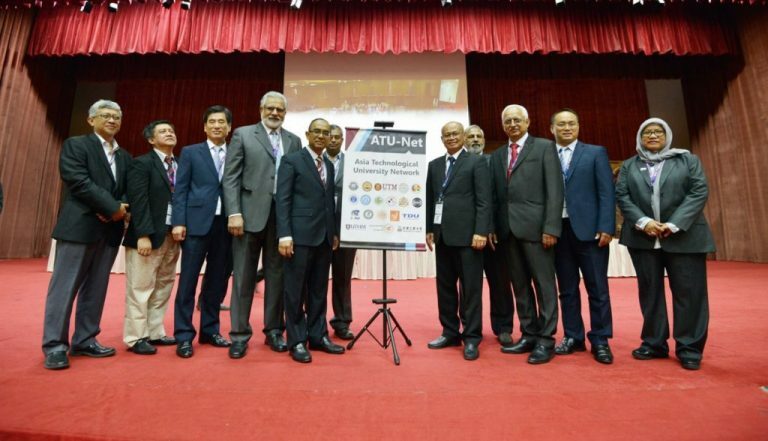 Meanwhile, Wahid said UTM today entered into an agreement with 17 universities from Malaysia and abroad to set up the Asia Technological University Network (ATU-Net) , which will help in capacity-building efforts and academic collaborations, among many other things. UTM, which mooted the idea, will chair the network’s secretariat.